Modern health trends reflect a deep thirst for well-being. From goat yoga to elaborate sensory deprivation tanks, we are constantly searching for paths to both mental and physical peace. Among many modern, hyped-up methods to obtaining this peace and well-being is meditation. Despite its mainstream popularity, you may find yourself skeptical of meditation and its supposed benefits. Unlike diligent exercise and dieting, you can’t simply look in the mirror and see tangible results a week or two after meditating. So how do you determine whether or not it’s a viable time commitment? Can meditation really help you in the long run? Before you dismiss meditation and the hype surrounding it, take a moment to learn more about the practice and its associated health benefits. Meditation is a mind and body practice with ancient roots in Buddhism and Taoism. While traditional practitioners used meditation as a means to obtain spiritual enlightenment, in the modern world, meditation has become something of a universal trend in helping people with innovation, creativity, problem solving and stress management. So, what is it? Meditation is the act of training yourself to be present in a given moment. The goal of meditation is to achieve a heightened sense of awareness. One of the more popular types of meditation is mindfulness meditation, which encourages you to focus with purpose and without judgment. Mindfulness meditation typically requires practitioners to observe and note their breathing, bodily sensations and thoughts. The objective is to open your mind and attend to the thoughts and feelings that naturally arise, without allowing yourself to be consumed by them. There’s no tried and true way to meditate. Everyone has unique needs and struggles, so meditation techniques may vary from person to person. Methods can range from sitting meditations and body scans, to walking meditations and yoga sessions. The general takeaway is that most meditation practitioners do not stick to a strict regimen. Anyone can practice meditation to de-stress, re-focus and train their minds. 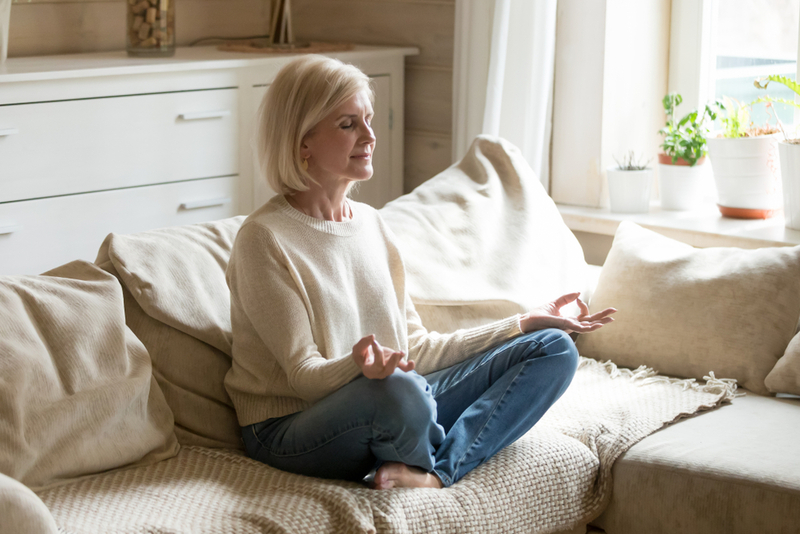 However, meditation can specifically benefit those who struggle with the following physical and mental impairments: anxiety, depression, chronic pain, and more. Meditation can treat depression – Mindfulness meditation programs can help reduce depression and anxiety and, in some cases, serve as an alternative to antidepressants. There is reason to believe that depression and other mental illnesses may be linked to deep, contemplative thinking. When we ruminate on the past or on ourselves, we tend to fall into negative thought patterns. A practitioner of meditation can recognize and avoid these negative thought patterns before they develop and become all-consuming. Meditation can mitigate chronic pain – Though meditation may not change the intensity of your chronic pain, it can change the way you perceive pain. Strengthened thought awareness, or mindfulness, can help people cope with chronic pain by allowing them to acknowledge, manage and dismiss the sensory experience of pain. This could mean avoiding potentially addictive pain medications in the future. Meditation can help prevent stress-related impairments – Since meditation decreases stress, it could also subsequently decrease the byproducts of stress, like cardiovascular disease, inflammation, degradation of cognitive performance and more. Try your hand (and mind) at meditation! 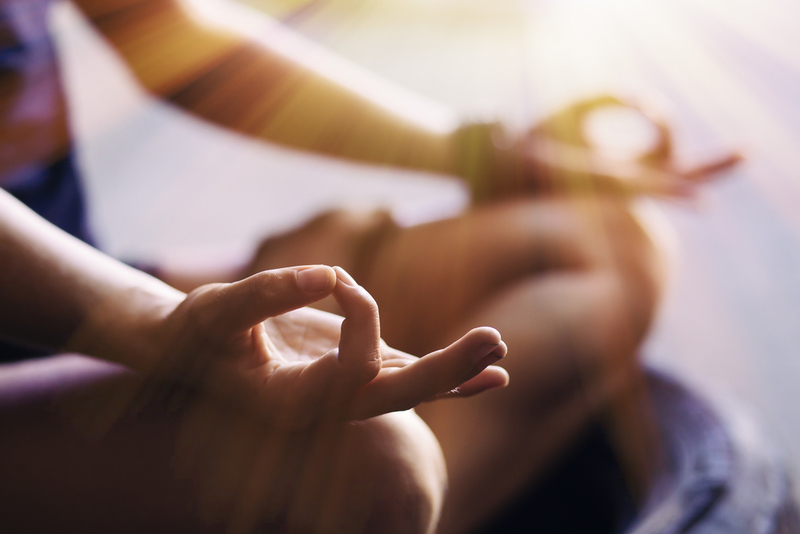 Researchers have started to dig deep into the long-term benefits of meditation. They theorize that it could go as far as treating PTSD, migraines, irritable bowel syndrome, symptoms related to menopause, aging and more. Try carving out an anywhere from 5 minutes to an hour of your day, for a meditative session. Short rounds of deep belly breathing will put you in a relaxed state, then sit quietly and observe your thoughts. Something is better than nothing. Consistency is key. Simple, short increments of “mind time” could decrease stress levels and strengthen your mind to deal with life’s many twists and turns.